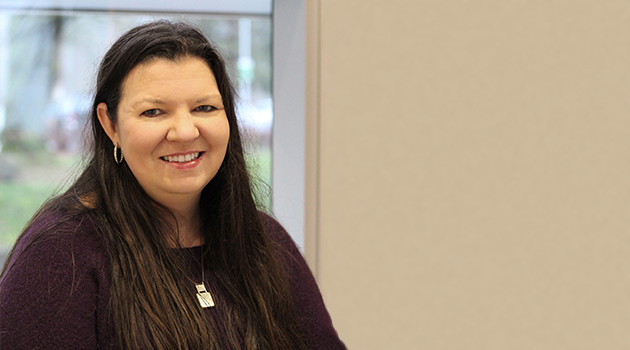 Dr. Elizabeth Cooper, a post-doctoral fellow in the Faculty of Health Sciences ay UFV, has been awarded funding from the Michael Smith Foundation for Health Research Trainee (MSFHR) program and will lead projects examining Indigenous health and community well-being over a one-year term. The MSFHR trainee program is funded by the BC government and develops emerging talent in fields where research supports the health of British Columbians. Cooper’s research examines the connection between historical trauma and the mental health experience of First Nations and Metis parents and youth. “This work is an excellent example of collaboration with the community, and a partnership that has positive outcomes for Indigenous youth and their families. We are very pleased to have Dr. Cooper as one of our researchers. Her work is important and innovative,” said Dr. Adrienne Chan, Associate Vice President, Research, Engagement and Graduate Studies. Preliminary work suggests Indigenous youth experience high rates of mental health issues leading to suicide, addiction, violence, chronic disease, and chronic pain. One aspect of ongoing research at UFV involves Cooper and Dr. Cindy Jardine partnering with the Fraser Valley Métis Association for a youth camp (August 20-24). Camp activities will include traditional Métis jigging, education on the mind-body-spirit connection, and Métis arts and crafts. Some participants at the camp have volunteered to participate in a survey exploring how Métis youth perceive health. This information will inform future development of health resources. Cooper holds a PhD in Community Health Sciences from the University of Manitoba and a MA in Native Studies from the University of Manitoba. She has worked with Indigenous families across Canada and abroad.